"Showcasing student work in Digital Commons shows prospective students around the globe what kind of education they can expect to receive at your institution. From honors theses and capstones to student-edited publications, fieldwork, and creative arts, students do their best work when they know it will be shared with potential employers, graduate schools, parents, and their peers. Make sure your students write with a worldwide audience in mind" (Digital Commons, n.d.). The Undergraduate Research Commons (URC) is a portal showcasing outstanding published works authored by thousands of undergraduate students. The portal was built to provide greater visibility to the exemplary student works that universities and colleges are publishing. You’ll find only publications published by universities and colleges here. In the URC, you can browse more than 700 undergraduate research publications including award-winning research, conferences, posters and presentations, fieldwork and class projects, honors theses and capstone projects, creative works, and research papers. An infographic on the homepage shows how content breaks down by subject area and publication type. The URC is also an index of undergraduate publishing outlets. 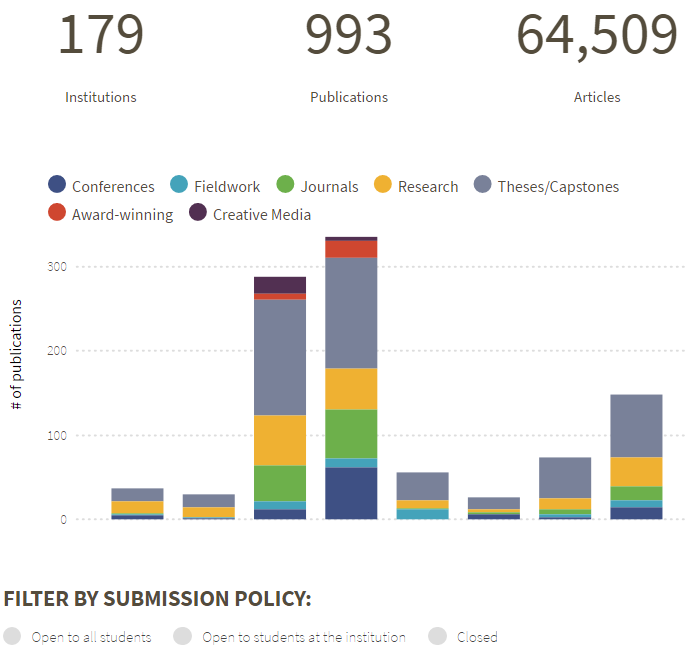 Aspiring undergraduate authors can use this tool to find peer-reviewed journals and conferences in their fields of research. We invite undergraduate researchers interested in publishing an article in a scholarly journal to explore the commons, find the university publications that are open for submissions, and visit the publication's site to submit work for consideration. The publishing platform and the expertise supporting the hundreds of publishing programs you find here are provided by bepress. Please click here to read our primer from bepress President and CEO, Jean-Gabriel Bankier. If you would like to find out more about building a publishing program at your institution, please provide your contact information and a brief message here. A representative from bepress will respond promptly (Undergraduate Research Commons, n.d.). This form must be filled out and signed for any submission of student work into Digital Commons. There are many student-edited scholarly journals to help students further their publication aspirations and to prepare you for careers in research and scholarship. Think about starting your own student-edited journal! Or publish in one of the open access journals published though Digital Commons that accepts work from students at all universities. The Undergraduate Publications collection contains a selection of papers and presentations by Sacred Heart University students. Papers below may also be found under Undergraduate Publications within the various academic departments in this depository. The Writing Across the Curriculum (WAC) Program at SHU is focused on an overarching goal—to provide students with rhetoric and writing strategies for strengthening their inquiry-based interdisciplinary discourse. Whether writing in a traditional classroom setting or writing in a digital environment, WAC pedagogy provides students with progressive writing instruction and approaches to synthesize their messages for joining an academic, professional or personal conversation. These are faculty recommended works to the WAC committee for the end-of-school year contest which gives monetary prizes to the 1st,2nd& 3rd place winners. All entries (not just the prize winners) are eligible to be published on the DC website. You can also ask your professor to recommend your work of excellence to the contest committee. The contest is not required. Any undergrad (or grad) paper or project recommended by faculty (and approved by the student) can be added to DC http://digitalcommons.sacredheart.edu/wac_prize/. All Thomas More honors program projects are eligible. 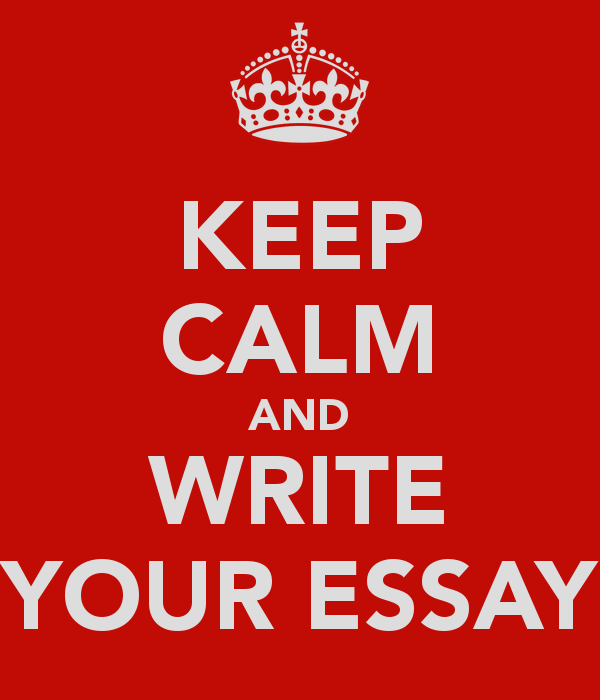 We want capstones, honors papers, anything you and your professors are proud of. These don’t have to be “papers” (video, powerpoints posters, etc. ).